John Boak will be showing oil paintings and photographic digital paintings during the month of March. Boak has been working with photography in his paintings for many years. His recent oil paintings explore the position of the photograph in our perception of “real” images. 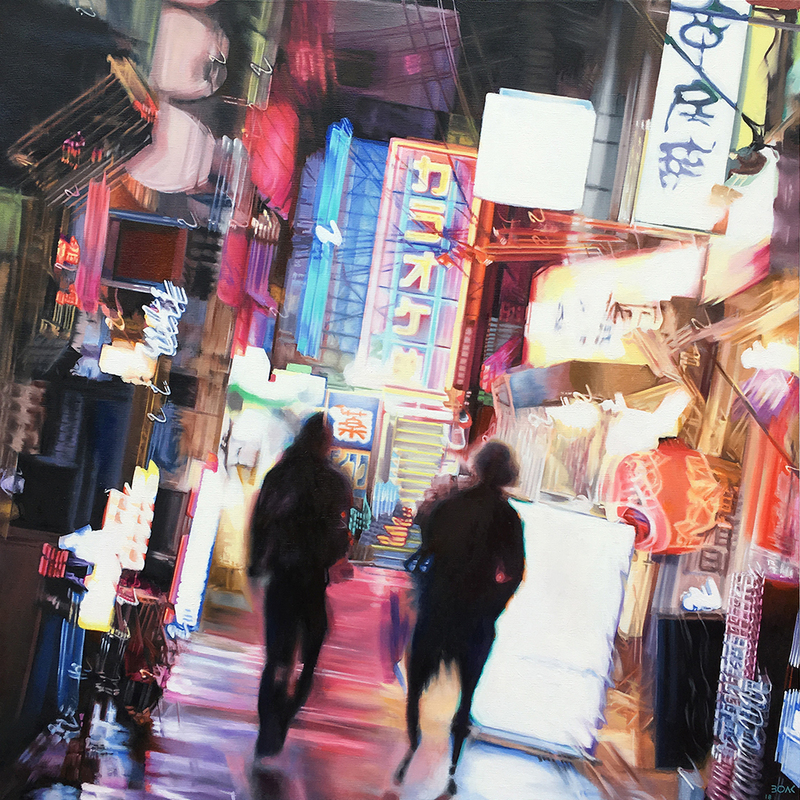 His use of paint to render his blurred source photos creates a realism of the unconscious. You may know what you are looking at. The drawing and form are forceful. But clarity is occasional. Divergence is the subject. His digital paintings are also built on photographs. In contrast to the oil paintings, these pieces do use photographic focus to engage the eye. His brushwork joins disparate imagery and releases the viewer from the photographic sense of a specific place in the world of things. Feeling precedes resolution. John Boak is a graduate of Yale University. He has been collected and commissioned for public art in Colorado and nationally.